Run The Jewels are hitting Europe this spring with a date on the Roundhouse stage. 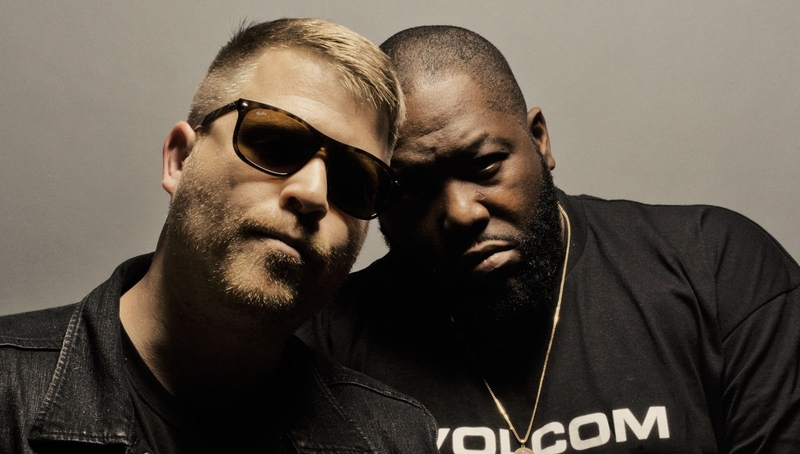 The newly unveiled shows follow the surprise Christmas release of Run The Jewel’s incendiary and cunningly-titled third album, Run The Jewels 3, which is available as a free download from runthejewels.com and on all the usual digital platforms. The album is the duo’s first independent release through their own label, Run The Jewels, Inc. In conjunction with Run The Jewels 3, the pair have just launched their own augmented reality platform, ARTJ. Art from the Run The Jewels vinyl, CD, posters, stickers, t-shirts and digital images, has been enabled for ARTJ, and fans can unlock new, customised content by using the app to interact with various RTJ imagery. In just over three years Run The Jewels have toured extensively taking their explosive live show around the world, unleashed two much-loved previous albums, raised money for charity via an unlikely cat-themed remix record, performed at Banksy’s Dismaland art installation, instigated art project Tag The Jewels, hosted their own globally broadcast radio show, inspired multiple Marvel comic book covers, become playable characters in a video game, ventured in to Virtual Reality, seen their fist and pistol gesture embraced as a salute of solidarity by music-lovers, and – most importantly – won over a growing worldwide army of loyal fans. Please note – strobe lighting will be used. Stage times approximate & subject to change without notice.